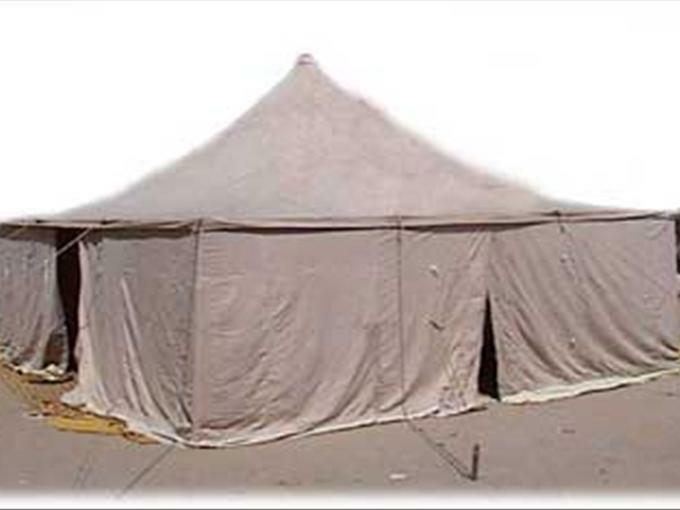 This Refugee tent is exported for the African Refugees. Used for multi - purposes. Roof Made from Cotton Canvas 500-525 gms per square meter natural white or olive green and walls made from 450 gms per square meter. Waterproof and rotproof. Complete with metal poles, iron pegs and a carrying bag. With optional PVC Grounsheet to fit tent.